CASS Black wins it in the final game. 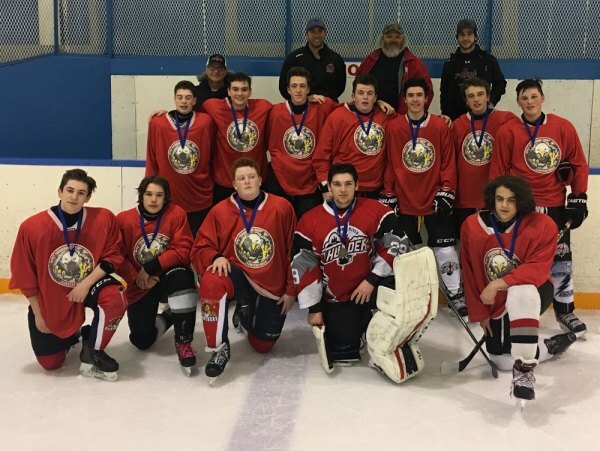 The 3rd Annual NSSSA Invitational Hockey Tournament was hosted in Thessalon on March 23rd-24th, with 6 teams vying for the title. The teams consisted of White Pines from Sault Ste. Marie, WC Eaket and Jeunesse Nord from Blind River and three CASS Huskies teams, distinguished by three different jerseys - CASS Red, CASS Black and CASS White. In all, 46 CASS students played in the tournament. One of the highlights of the tournament was the 'Vine Family Maple Syrup Skills Competition'. 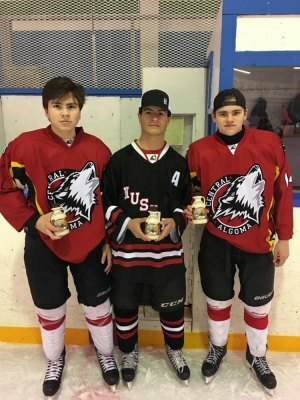 The skills competition featured three events, hardest shot, fastest skater and shooting accuracy, with 2 players from each team participating in each event. In the first event, Mack Ableson from CASS Red posted the fastest lap around the rink with a time of 14.11 seconds. The second event was shooting accuracy, in which players have 25 seconds to hit 4 targets, one placed in each corner of the net, with 8 pucks. Austin Mortimore, also from CASS Red was the only player who was able to knock out all 4 targets, hitting the last one with his final puck. The final event of the skills competition was the hardest shot, and always a crowd pleaser. Fans were treated to some great shots, and the competition came down to the last two shooters, Matt Quenneville and Jack McLeod, both from CASS Black. Both players registered shots over 80 MPH, but at the end Jack McLeod had the hardest shot with 89 MPH, defending his hardest shot competition win from last year. After many close round robin games, the semi finals were set with CASS Red against JN and CASS Black against White Pines. In the first semi-final JN willed their way past CASS Red with a convincing 5-1 win. 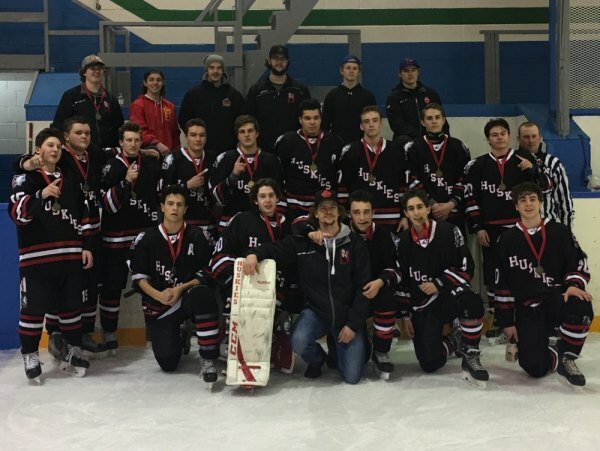 In the second semi-final game, CASS Black put on an offensive show right from the start of the game to pick up an 8-3 win, setting the stage for a CASS-JN final in the NSSSA Invitational tournament for the third year in a row. In a fast-paced-back and forth game, CASS Black scored the first goal early and didn't look back as they wouldn't relinquish their lead for the rest of the game. After going up 2-0 on goals from Jack McLeod and Mason Mortimore, JN scored a goal late in the second period to make things interesting going into the third period. After a flood between periods, CASS Black came out firing and McLeod scored an important insurance marker early in the third. Mortimore sealed the deal with 1:30 left with an empty-netter. Showing their no-quit attitude, JN battled hard to the end of the game, scoring a goal with 10 seconds left. The final score was 4-2 for CASS Black. 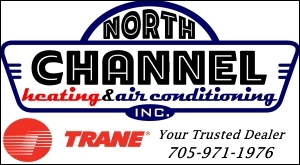 The CASS Hockey program would like to thank all the teams who travelled to Thessalon, the fans and parents who came out to watch and support the players, our volunteers and workers, and Luke Vine of Vine Maple Syrup for the generous donation of 500ml Maple Syrup bottles for each player of the game, and the skills competition winners. Jeunesse Nord team from Blind River.